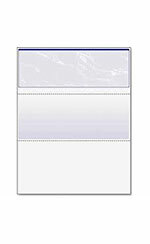 Pressure seal checks are the fastest, least labor intensive and most economical way of preparing and sending checks. Using pressure seal checks will save time and money, leading your company closer to complete optimization and efficiency. How Is A Pressure Seal Check Constructed? Pressure seal checks are sealed through a unique bonding process that does not require water or heat. During the folding process a pattern of a specially formulated cohesive glue becomes aligned. The pressure seal checks are then tightly folded and sealed when processed through a pressure sealer. What Is A Pressure Seal Check Used For? Pressure seal checks are used for Accounts Payable Checks, Accounts Payroll Checks, Benefits mailings, Custom Letters, Delinquent Notices, Dividend/Interest Notices, Grade Cards or Grade Reports, Invoices, Statements, License Applications, Notices, Promotions, Purchase Orders, Refund or Rebates, Renewals, Reports/Newsletters, Reservation Confirmations, Subscriptions, Tax Forms … and more. What Are The Different Types of Pressure Seal Checks? Pressure seal checks come in 8 1/2″ X 11″ consisting of a 28# / 24# C-Fold, 28# V-Fold, 24# Z-Fold and 28# Z-fold as well as a 8 1/2″ X 14″ incorporating a 28# Z-Fold and 28# EZ-Fold. 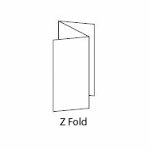 The Z-Fold is ideal for simplex printing. Printing the data and address on the same side increases throughput and saves money. 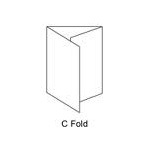 The C-Fold is the perfect choice for duplex printing. Moreover, one fully enclosed panel provides the security required for checks or other. 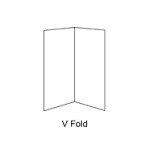 The V-Fold provides a larger finished size and allows two-up printing. For added flexibility, 8 1/2″ X 14″ forms can be easily accommodated. The EZ-Fold is used on 8 1/2″ X 14″ forms. For more information please contact us at 888-624-5786. 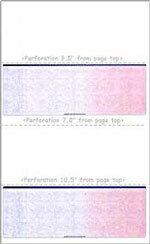 Pressure seal forms are the fastest, least labor intensive and most economical way of preparing and sending documents. Using pressure seal forms will save time and money, leading your company closer to complete optimization and efficiency. How Is A Pressure Seal Form Constructed? Pressure seal forms are sealed through a unique bonding process that does not require water or heat. During the folding process a pattern of a specially formulated cohesive glue becomes aligned. The pressure seal forms are then tightly folded and sealed when processed through a pressure sealer. What Is A Pressure Seal Form Used For? Pressure seal forms are used for Benefits mailings, Custom Letters, Delinquent Notices, Dividend/Interest Notices, Grade Cards or Grade Reports, Invoices, Statements, License Applications, Notices, Promotions, Purchase Orders, Refund or Rebates, Renewals, Reports/Newsletters, Reservation Confirmations, Subscriptions, Tax Forms … and more. What Are The Different Types of Pressure Seal Forms? 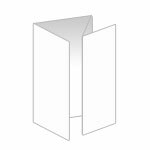 Pressure seal forms come in 8 1/2″ X 11″ consisting of a 28# / 24# C-Fold, 28# V-Fold, 24# Z-Fold and 28# Z-fold as well as a 8 1/2″ X 14″ incorporating a 28# Z-Fold and 28# EZ-Fold.